Get Our Low Price Quickly! Submit our quote below and one of our scrap car experts will tell you our price for it within 1 hour! At Scrap Car Removal Scarborough we know our competition and we know their prices. 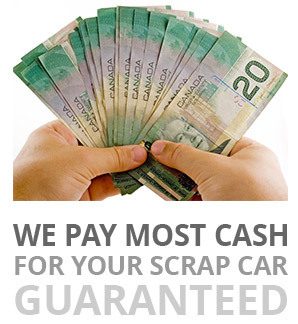 Our prices are based on competitive rates and we offer the lowest rates on the market for scrap cars in Scarborough or anywhere else in the East Toronto Area. Depending on your vehicle we can give you from $100 - $2000 in cash. The average price range is $450-$500.